In March, non-profit art space Mur Nomade hosted a conversation on the intersections between art and activism in advancing animal rights. Discussions revolved around local artist Jovial Yeung’s The Victim, a series of visually alluring works that grapple with the theme of captive animal suffering. Participants artist Yeung, curator Amandine Hervey, animal welfare representative Eva Yoe, and wildlife photographer Peter Yuen probed the effectiveness of art in bringing progress in animal rights, compared with more direct channels of activism. Artist Jovial Yeung’s ongoing series The Victim depicts mistreated animals in visually alluring compositions. 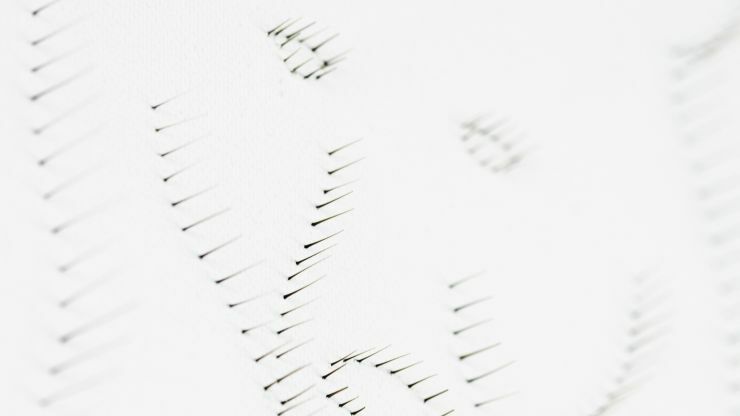 First inspired by the cruelty of ivory poaching, Yeung’s unique “needle paintings” feature simple animal forms – including the elephant, rhinoceros, deer, shark, duck, goose, moon bear, and polar bear – outlined by delicate glass pins. Within these outlines, gleaming gold patches highlight various coveted body parts to reflect how humans place their own gain above animal suffering. 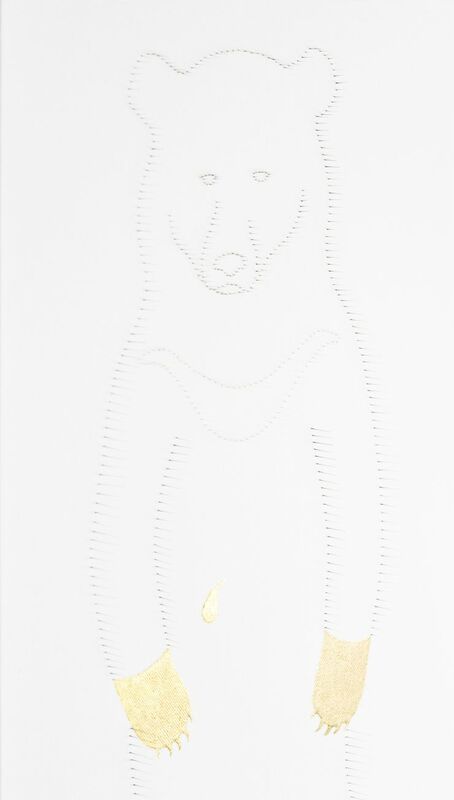 Jovial Yeung’s The Victim: Bear, flameworked glass and gold leaves on canvas. Photo: Courtesy of the artist and Mur Nomade. On exhibition at Mur Nomade from 16 January to 2 April 2016, Yeung’s subtly provocative series, with its formal simplicity and unique materiality, confronted viewers with the reality and scale of the unspeakable suffering to which this group of voiceless victims is subjected. Many visitors to the exhibition responded to the series’ moving call to reflection by asking Yeung about the animal rights issues that inspired her; others, provoked by the subtly accusatory works which implicate everyone in a sort of “supply chain” of cruelty, raised defensive concerns about cultural tradition and the extent to which humans can or should empathize with animals. The conversations that germinated from the series, in part open-minded and in part defensive, led Yeung and Amandine Hervey, founder of Mur Nomade, to consider the role art plays in educating audiences and triggering positive changes in their behaviour. In particular, they wanted to probe the effectiveness of art in bringing progress in animal rights compared with more direct and visible channels of activism in the forms of intervention and education. Yeung built her research of animal rights issues on the work of non-profit groups and photographers on the ground. She and Hervey conceived the idea of an exchange in the reverse direction to see if her artistic endeavours can spark new directions for dialogue. Yeung and Hervey sat down with Eva Yoe, Development Executive at Animals Asia, a non-profit that runs moon bear sanctuaries in China and Vietnam, and Peter Yuen, a wildlife photographer working with animal charities, to discuss the importance of public education, the role of art and photography in raising awareness, effective altruism, recent progress, and the pragmatism and realistic expectations needed to trigger changes in individual and societal attitudes. Song Sot moving to the transport cage. Photo: Animal Asia. Yeung’s piece The Victim: Bear, which highlights the plight of endangered moon bears held captive for bear bile farming, was created partly based on Animals Asia’s rescue operations in Chinese and Vietnamese farms. Parallel to its work on the supply end of the bear bile industry in China and Vietnam, Animals Asia also runs public education programmes to reduce the demand for the substance, which has medicinal properties that treat liver conditions. As these known properties all have substitutes, conscientious Chinese medicine doctors are increasingly promoting the widely available herbal and synthetic alternatives. Animals Asia’s approach to public education on the inhumanity of bear bile farming, mostly targeted at young people, is never aggressive. The group’s dedicated educational team in China puts on exhibitions, produces videos, and goes to schools to address students directly. Rarely, they bring groups into bear sanctuaries to meet rescued bears. Seeing the situation in person can be important, believes Yuen, who was once moved to tears at a bear rescue in Nanning, China. 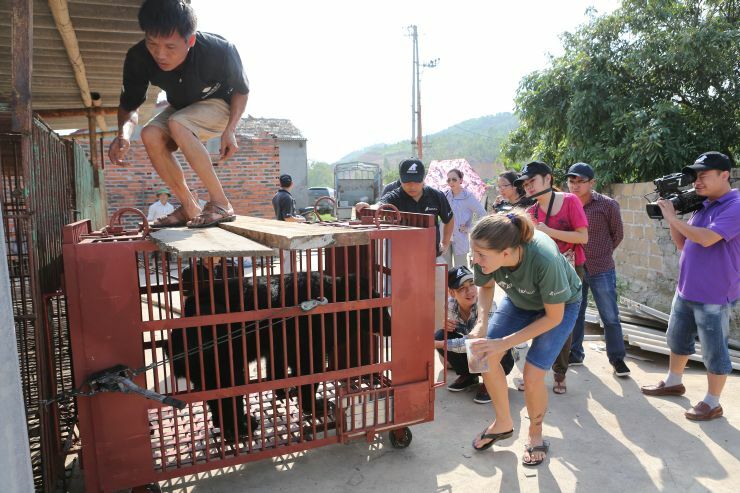 When veterinarians returned to do health checks on some bears that had just been rescued from a farm, the bears started howling, as they thought bile was about to be extracted from them. From his own emotional experience, Yuen believes that it could be important for the public to feel – rather than just know – that mistreating animals is wrong in order to alter their behavior. Easy access to sanctuaries, however, might turn seeing the rescued bears into a spectacle. 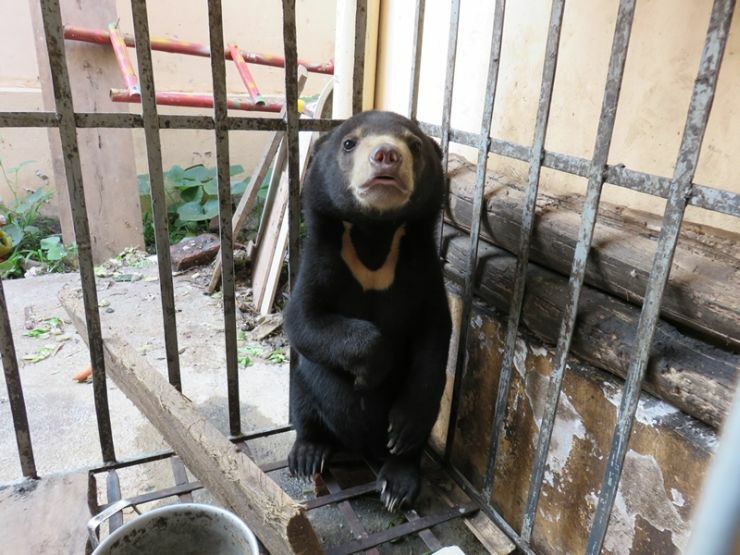 Instead of allowing regular visits, Animals Asia shows the public how the bears fare “before” and “after” the rescues. In the sanctuaries, bears are happier, healthier, and have space to roam freely. Goldie in a cage before rescue. Photo: Animal Asia. In many cases, the previous farm staff is employed and retrained to take care of bears properly in the sanctuaries. Often, the staff see the physical changes in the bears and give powerful testimony against cruel farming practices. In a different way, the unassuming contours and simple palette of Yeung’s works also effectively appeal to emotions with their subtle but powerful visual message. Intriguingly, then, getting the audience to “feel” the injustice of animal suffering viscerally can be effected through first-hand experience as well as a contemplative aesthetic medium. 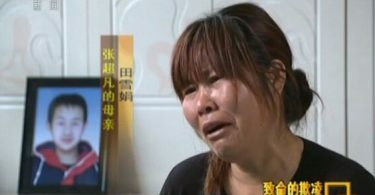 During animal rescues, Yuen takes images as visual evidence of animal cruelty. In Thailand, for instance, he has documented how elephants are physically abused with hooks and nails. 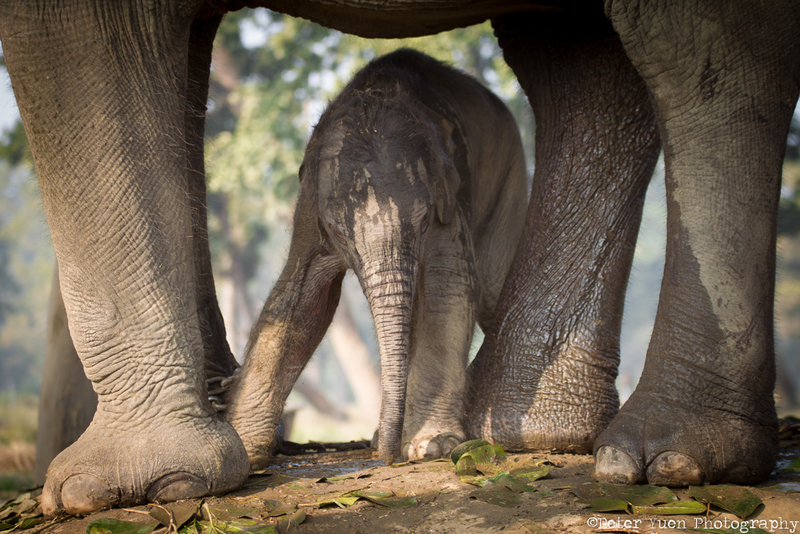 He has also photographed animal treatment in zoos across Southeast Asia. 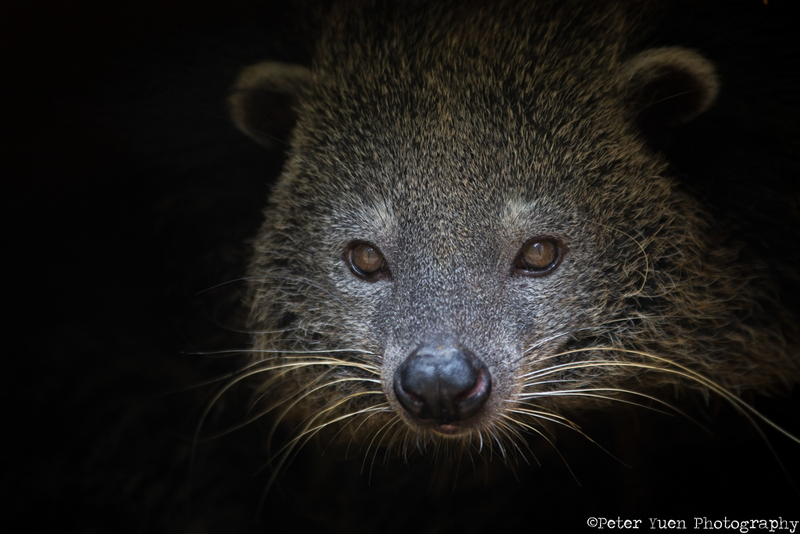 Wildlife animal photography by Peter Yuen. Photo: Peter Yuen. Another strength of Yeung’s works lies in how they implicate every viewer, not just the poachers or farmers directly involved in animal cruelty. Any viewer who sees the gold and responds to the value it evokes is responsible. In contrast, although photographs bridge the distance between audiences and scenes of animal suffering, viewers often instinctively feel sympathetic but not directly responsible. As a curator, Hervey wonders about the best ways to raise awareness in the context of effective altruism – that is, achieving the greatest positive impact by considering all possible actions. Her concern is that, as people coming to art museums and galleries are often relatively aware of social and environmental issues, the resources put in an exhibition to promote animal rights might be more effectively spent elsewhere. Yuen comments that Yeung’s unique art is particularly impactful because her passion for the issues makes her message poignant. Even if they might be limited in reach, Yeung’s works prompt audiences interested in art to look into animal welfare and possibly change their behaviour, even if it is something on as small a scale as giving up foie gras. On this point, Hervey mentions that some visitors to the exhibition voiced concerns about tradition. Foie gras is important in French culinary traditions, just like shark fin is in Chinese culture, so attempts to combat force-feeding geese and ducks, or mutilating sharks, must grapple with tradition in a culturally sensitive fashion. 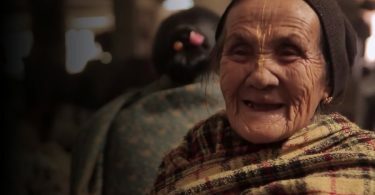 Cultural traditions, especially ones that have been passed down for centuries like Chinese medicine, indeed need to be treasured. When they are at odds with modern moral understanding regarding animal rights, it is necessary to grapple conscientiously with the issues at stake. Only a delicate balance can ensure that we preserve traditions sustainably while avoiding environmentally destructive and animal-harming practices. During her research, Yeung found reports of individuals treating animals selfishly. She created a wearable piece – a handbag in the exact dimensions of a small dog – to comment on how Hong Kong people dress up their pets and push them around in strollers. She questions whether this visible act of treating pets as accessories signifies a reversal of progress in animal rights. Individual selfishness aside, Yoe believes that much progress has been made in a range of areas, from how factory farming is visibly slowing down to how high-profile celebrities are now promoting the vegetarian lifestyle with their actions. Circuses, and using animals as entertainment in general, are also not accepted in developed countries any more. Animals Asia’s goal at the moment is to close all bear farms in Asia, the first step among many long-term goals shared by other conservationists, such as allowing animals to live freely in the wild, away from human exploitation. This might ultimately mean closing down zoos. This ideal, however, remains unrealistic at present. Yuen believes humans were responsible for taking animals out of the wild and mistreating them, so they must also be responsible for looking after them. Although he is personally against holding animals captive for humans to look at, zoos play an important role in rehabilitating rescued animals. This productive exchange between an artist, a photographer, and a animal welfare representative shows that direct intervention and artistic endeavours both have their roles to play in appealing to a range of audiences and bringing about changes in individual behaviour and societal attitudes towards animal rights. Visual art, despite its seeming physical and figurative distance from animal suffering, especially in comparison with photography or first hand experiences, is uniquely able to provoke people to reflect on their own implications in injustice rather than distance themselves from responsibility. Laden with deeper moral messages, art can draw people into the issues at stake while graphic representations of reality often repel them into inaction. As exemplified by Yeung’s glass needle artworks, this has far-reaching implications for the ways in which art can complement direct activism and educational efforts to appeal to deep-seated emotional and intellectual understanding. Efforts that combine the relative merits of art and direct activism might prove to be the most effective in changing attitudes in the long run.